Thinking about running a social promotion? Perhaps you already have and are frustrated at disappointing results. Or you're impressed, but wondering if there's more you can do? This article will give you a complete breakdown of marketing with social media promotions. Facebook Sweepstakes promotions are great for first-time contest runners. They're the simplest promotion type and are excellent for quick and simple lead generation and often yield the greatest numbers. 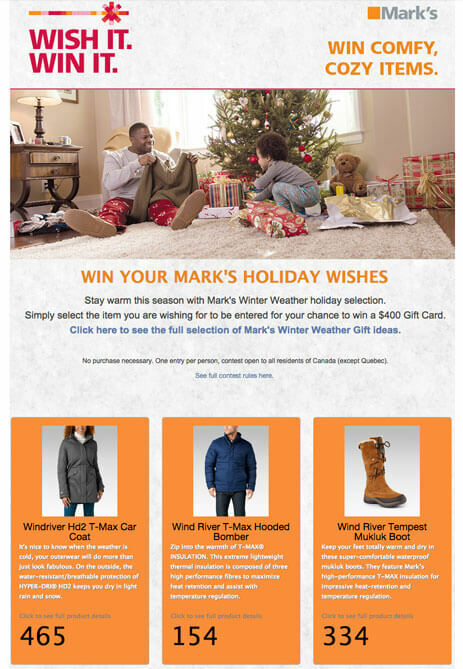 The weakness of a sweepstakes is that, unless your prize is very specifically related to your business (a product, a gift card, etc) you run the risk of generating entrants/leads who aren't within your target audience and may be unlikely to buy. Instagram hashtag promotions work by having Instagram users Follow your account and post a photo with a contest-specific hashtag. Each of your those photos will be automatically displayed in the promotion landing page or a gallery page on your website. The entrants are then incentivized to share their submission with their network. The submission with the most votes wins. The strength of an instagram hashtag contest (apart from the incentivized sharing) is the "Follow-gate." Since Facebook made Like-Gating illegal a couple years ago, Instagram is the only social media platform to allow businesses to require users to Follow their accounts to enter a promotion. Referral promotions incentivize sharing. Everyone who enters the promotion gets a discount code and a share URL specific to them. Whoever refers the most people from their network to enter wins the grand prize. Photo contests work by having entrants submit a photo and then share the contest with their network. That network votes on their friend's photo and whoever has the most votes wins. The strength of a photo contest are A) that both the entrants and the voters provide their lead information and B) The incentive for entrants to share the promotion with their network takes a lot of the burden off your marketing team. They do the work for you. Vote contests are very similar to photo contests, except that you provide the content and entrants vote on their favorite. Coupons are even simpler than sweepstakes, and function in the exact same way as those pulled from an old fashioned newspaper. Your business incentivizes prospective customers to purchase from you with a discount or "Buy one get one free" offer. A top tip with coupons is to incentivize sharing by giving a basic discount (10% off or free shipping) to every entrant and a secondary, more valuable discount for those entrants who refer their friends. Once you've decided on the type of social media promotion you're going to run, the next step is deciding on the right prize. Your promotion's prize should be directly related to your business. There's no point in generating a bunch of buzz or entries from people who aren't going to ever purchase from your business. Sure, your coffee shop could give away an iPad. Your auto repair business could offer a trip for two to Hawaii. And you'd get thousands of entrants. But none of them would be interested in a latte or winter tires. They'd be interested in the iPad, and then leave - the beach of Kauai, and then you'd never see them again. Travel Insurance: They’d be going on their honeymoon. Get them to book their vacation’s insurance with you. Alright let's move on to making sure your social media promotion is actually a success. Here are 18 best practices to follow for your promotion, no matter if it's your 1st or you 10th. 18: Decide on your contest’s goals before diving in. 19: If you don’t have 1,000+ likes on your Facebook Page, start by running a sweepstakes. The same applies if you have more than 1000 fans but very low engagement. A sweepstakes is the fastest and easiest way to, legitimately, gain fans (even without the Like Gate of 2014). Similarly for Instagram, if you don't have that many followers, start with an Instagram Hashtag contest and be sure you Follow-gate entry. If you're giving away a product, communicate the value of that product in more than just dollar signs. Consider giving away a limited-edition product or offer only available for a limited-time. Consider making something specific to the promotion (like a clothing item or menu item). Exclusivity value is the belief that something which has been limited has more value than something always accessible or of infinite supply. Tap into this psychological factor and see your promotion succeed. 21: Give away a prize relevant to your business. Try a gift card, gift certificate or product package (multiple products increase the chance of your entrants wanting at least one of them). You need to ensure that the people who enter your promotion will actually be interested in buying from you down the line (provided you have a strategy in place to entice them towards a final purchase once your promotion has finished). 22: Promote your social media promotion on all your social media platforms. Even if you're hosting on Facebook, your network on Linkedin, Twitter, Google+ and Instagram should hear about your promotion. They might just share with their networks as well. When it comes to getting the word out about your promotion, sharing more is never a bad idea. 23: Don’t let your contest run too long. You don’t want fans to forget about or lose interest in your contest. Ideally, keep your contest length between a week and a month - you want the hype to keep going from the start to the finish. 24: Have a short and actionable headline. Best practice is to include the dollar value of your prize (if it has one) as well as actionable text like "Enter to win" or "Enter for a chance at." You have about five seconds to convince your page visitor to stay or go. A clear and concise value proposition is the best way to do this. 25: Include specifics and guidelines about the contest. Trust is a crucial element of any business interaction. Your prospective customers need to know that you're not hiding anything from them. Include every piece of information you can think of in a page of your website and then link to that page from your promotion page (you don't want to clutter your page with paragraphs of text if you can avoid it). Third-party promotion apps make this whole thing so much easier. They're faster, you don't have to worry as much about meeting Facebook guidelines, choosing a winner is easy and you don't have to outsource the design or spend a few weeks learning to code. I recommend 2-3 fields: Name, email address and little else. Long entry forms turn away interested people. A chance at a prize isn't worth giving any business my phone number (unless that prize is a trip to Tahiti or dinner with Beyonce). To maximize entries, don't make the process difficult. If you do want to get more out of your participants, be sure the prize is worth it. For instance, an essay or video contest can yield some awesome user-generated content, but the prize needs to be worth the investment of participants. Your social media promotion will be more successful if it ties into what your prospective customers and entrants are already thinking about. Run a "12 Days of Christmas" giveaway, where you announce a winner of a medium-size prize every day. Run a Superbowl sweepstakes with food, a meal out, an entertainment center, football-related merchandise or team-themed clothing. Run a promotion around a lesser-known (but equally fun) holiday like a chocolate promotion for Chocolate Day (July 7th), selfie promotion on World Smile Day (October 7th) or offer a free catered lunch for Sandwich Day (Dec 23rd). So you need to be sure your promotion's page is optimized to receive them. There's no point in offering anything if your page visitor can't read your headline or click convert. Nobody wants to give you their photo if they think you're going to sell it or doctor it to make money. If you're running an Instagram hashtag contest, photo, video or essay promotion, clarify to participants what you'll use their submitted content for. They'll be more likely to engage if they trust you to respect their intellectual property. A joint promotion or sponsor will give your social media promotion significantly more organic reach. You'll reach a new audience of people who don't yet know you and, so long as your partner has a similar target market as you do, it can yield some big wins. This is just common-sense, but be sure you do it before going anywhere near an announcement. Your winner may not respond, your email may get lost in spam, or they may be ineligible. Wait 72 hours or so before moving onto another winner (and include the fact that you're going to do that in your promotion's terms and conditions). 34: Get the contest winner to send you a selfie of the win. Not only does a selfie make your winner announcement more personal and fun, it also proves to entrants that someone actually won (and you didn't just take their information and keep your prize). If you're a brick and mortar business running a promotion, communicate with the winner about when they're going to come in to claim their prize and take a photo or video of them. Be sure to get their permission to post it online! This should be more than just a consolation prize (though those are important as well, try a 10% discount or code giving free shipping). No, I'm talking about an actual strategy. What's the point in generating a few hundred (or few thousand) email leads and then doing nothing with them. They're not going to decide one day, "y'know that company whose promotion I didn't win? I wonder if they'll sell me a couch." For more on creating a follow-up strategy, check out my article "How to Incorporate Email Marketing and Contests to Maximize Success and Return." Best practices are well and good, but sometimes the best way to get inspired to social media promotion success is to see a few real-world examples from businesses like yours who have done it. This Instagram hashtag promotion generated 9,173 conversions for the client. 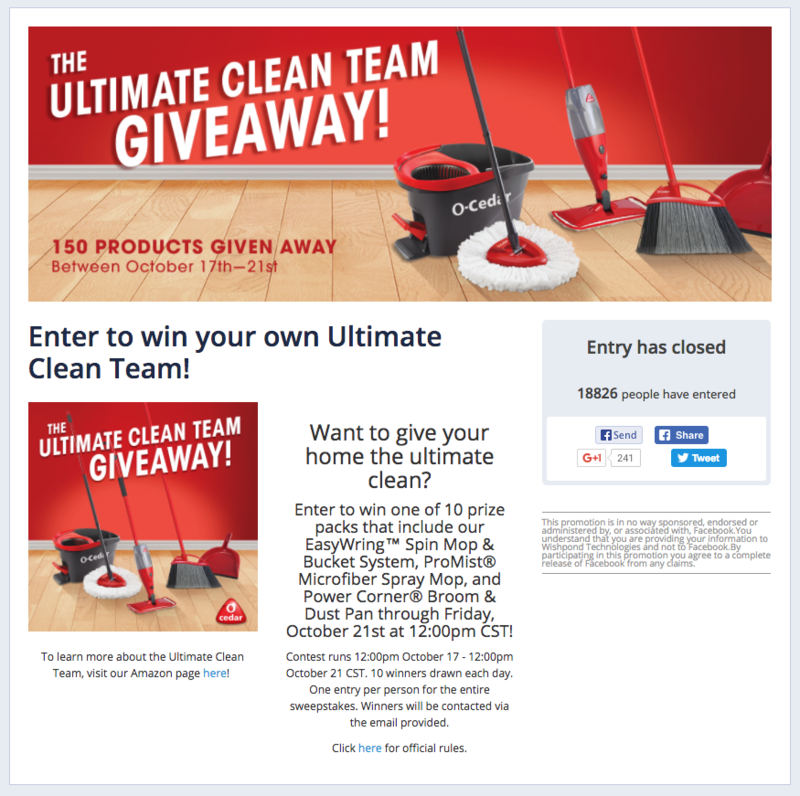 This sweepstakes promotion generated 18,826 conversions for the client. 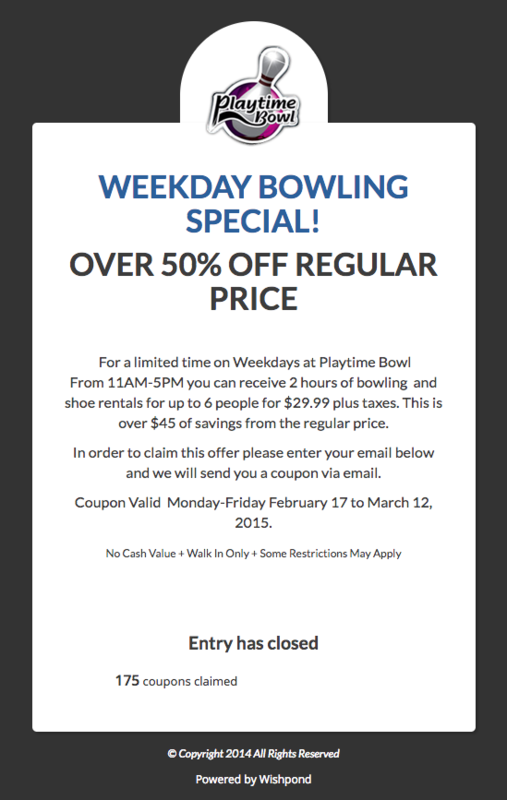 This referral promotion generated 665 conversions for the client. This vote promotion generated 4,111 conversions for the client. The worst thing is to put energy into your social promotion's page and prize only to have Facebook or another social media platform refuse to host it. 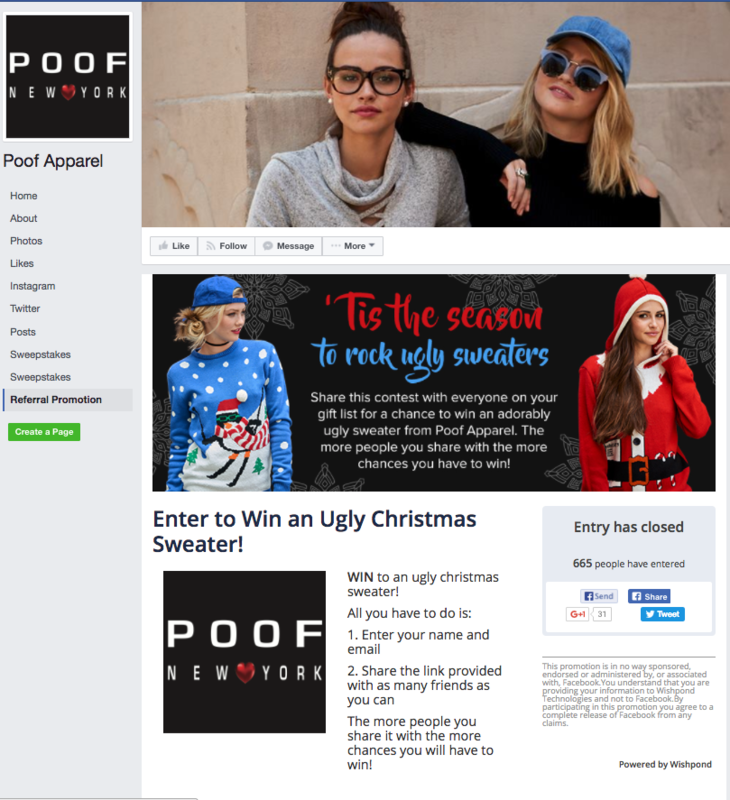 For more on ensuring your business is following the rules of social promotions (particularly on Facebook) check out 5 Best Ways to Announce & Notify a Contest Winner. 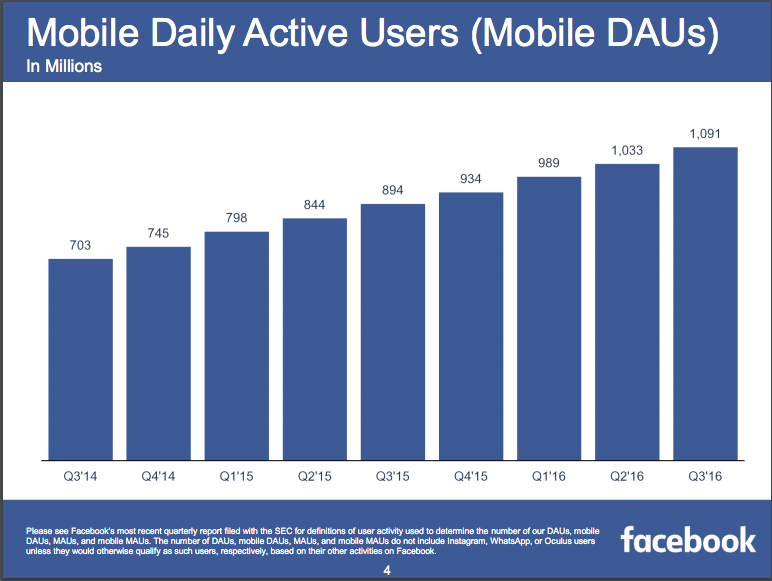 Hopefully this article has given you a better idea about what it takes to succeed with social media promotions. Don't skip over the details. Make sure you're following the promotion guidelines to the T, or suffer the consequences. If you have any questions about social media promotions, let me know in the comment section below!